SCOM - New MP Available for the DHCP Role on Windows Server 2012! Microsoft have just released the new management pack (MP) for the DHCP role on Windows Server 2012. This MP has support for DHCP clustering and failover functionality that Windows Server 2012 brings to the table. Note: Unfortunately this new MP won't discover your older Windows Server 2003/2008 DHCP servers so you'll be stuck with the original (and badly written in my opinion). If that's what you're looking to monitor, then click here to download the DHCP 2003/2008 MP. SCOM 2012 - Exchange 2013 Management Pack Is Now Available! 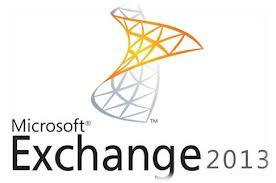 Microsoft have just made available the new Exchange 2013 MP for SCOM. The big news with this MP is that the Microsoft Exchange Correlation Service that was present in the Exchange 2010 MP is now no more! Microsoft are always interested in peoples feedback on their MP's so if you have any 'constructive' feedback to give, add a comment to this post and I'll pass it onto the team who've developed it. A few weeks back we delivered two days of Windows Server 2012 Deep Dive sessions out in Microsoft Ireland and I've just received a mail that the session videos are now available. 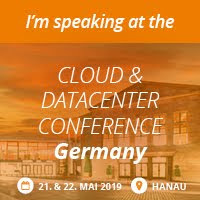 For me, I totally enjoyed listening to the other guys present and definitely learned some new tips and tricks along with gaining a better understanding of Windows Server 2012 features through the content delivered. I did a lightning roundup of some of my favourite sessions that were presented at MMS 2013 - unfortunately I couldn't get all of the ones I wanted in there but hopefully it gives people an idea of what they can see if they go and download the videos from Channel 9. Fixed a bug in Microsoft.Windows.Server.2008.Monitoring.mp where the performance information for Processor was not getting collected. Fixed bug in Microsoft.Windows.Server.ClusterSharedVolumeMonitoring.mp where the Cluster disks running on Windows Server 2008 (non R2) were not discovered. Fixed bug 'Cluster Disk Free Space Percent' and Cluster Disk Free Space MB' monitors generate alerts with bad descriptions when the volume label of a cluster disk is empty. Added feature to raise event when NTLM requests time out and customers are unable to use mailboxes, outlook stops responding, due to the low default value for Max Concurrent API registry Key (HLM\SYSTEM\CurrentControlSet\Services\Netlogon\Parameters) , which is a ceiling for the maximum NTLM or Kerberos PAC password validations a server can take care of at a time. It uses the “Netlogon” performance counter to check for the issue. Before you dig deep into troubleshooting this yourself or thinking that Savision haven't got a solution to the problem - fear not, they have now! They've released updated versions of the LiveMaps Summary Widget MP's that will alleviate the error above. Hopefully this will save some people a bit of time and effort if they come across this problem. Microsoft have just published two excellent guides to kick start your Friday morning coffee read ;) that are based on their Infrastructure as a Service (Iaas) Product Line Architecture (PLA). The first guide is mostly based on Windows Server 2012 storage and virtualization and the second guide is based around System Center 2012. Go check them out and I'm sure you'll learn something new from them. Also, the Microsoft PLA team are keen to get some feedback on these documents so if you have any 'constructive' feedback that you want me to pass on, feel free to leave a comment and I'll do just that. 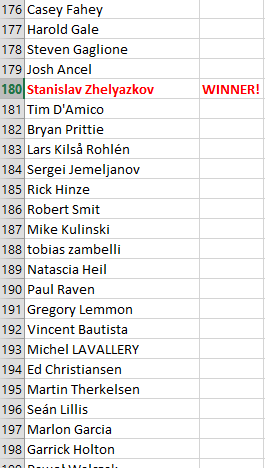 Winners of the Mastering SCOM 2012 Book Competition! A while back I ran a competition on this blog that required people to download and evaluate System Center 2012 in return for the chance to win a copy of the 'Mastering System Center 2012 - Operations Manager' book that I was involved in last year. We had a target of 250 downloads to reach and eventually a few weeks ago we hit that target. Due to work commitments (and authoring another book), I've been 'slightly' delayed in announcing the winners of the competition! 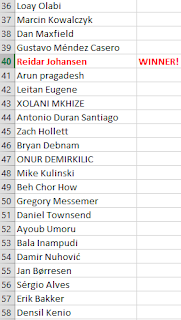 To pick the winners, I used the same method that Hans Vredevoort had on his excellent Hyper-V.nu blog a while back and asked my eldest son to pick two numbers from the full list of entrants that I had collated together into an Excel spread-sheet. 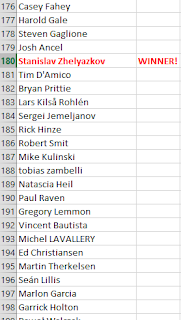 and Stanislav Zhelyazkov are the two lucky winners. If you didn't win, I'd still highly recommend that you get your hands on the hard copy of the book from here or the e-copy from here. Adding it to your technical library will do you no harm at all if you're serious about System Center 2012 and want to ramp up your SCOM 2012 knowledge. 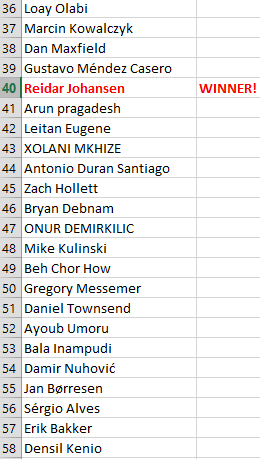 I'll be in touch shortly with the two winners and a massive THANK YOU to everyone who participated in boosting System Center 2012 awareness and evaluating it in their environments.